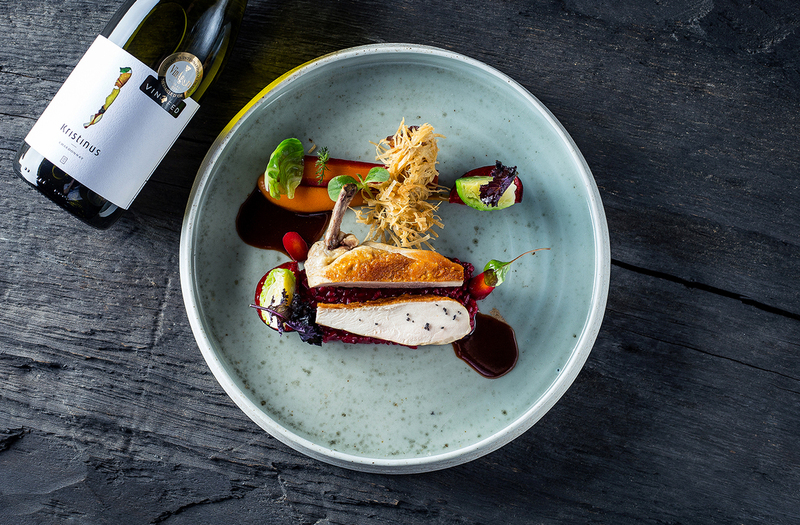 Our Wine Estate will soon open a fine dining restaurant for visitors. Until then, however, do not miss our bistro, Kristinus Gastro Bistrot. Its menu offers a taste of what the restaurant will soon perfect. Nevertheless, Gastro Bistrot makes no compromises regarding the quality of its ingredients, serving aesthetics and commitment to local products. The menu is designed around the estate’s wines, with dishes to pair with guests’ Irsai, Birtok Rosé or Sas Cuvée. Commencing with our Krisecco, which goes best with an amuse bouche, our degustation menu is a good demonstration of our attitude towards cuisine. A glass of wine, served from the best bottles of Kristinus and other wineries who partner with us, is a must with every dish. Our dishes are prepared using locally-grown seasonal ingredients, served in innovative combinations, featuring special flavours, which you can enjoy in a modern yet cosy environment. 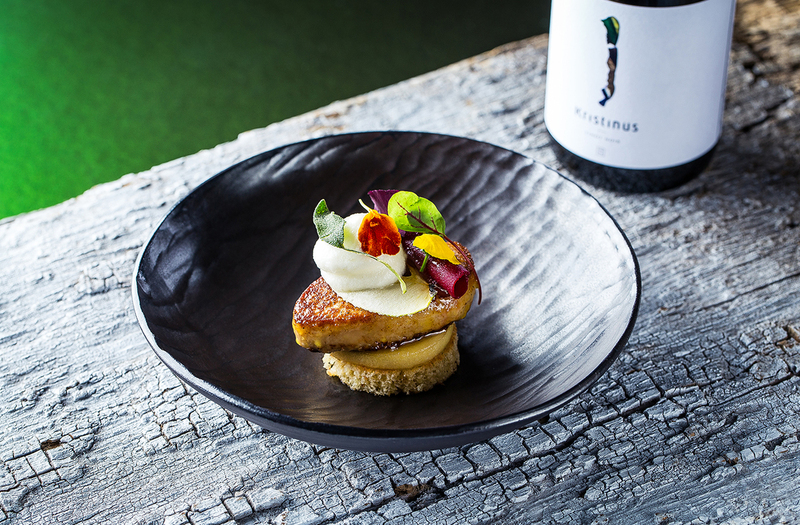 Although we consider food and drink equally important, we give the home field advantage to our wine in that it takes the starring role in our menu: we match the dishes with our wine, not the other way around. The locally sourced, premium quality ingredients are key to the unique offering of Kristinus Gastro Bistrot, which uses mostly Somogy County produce. 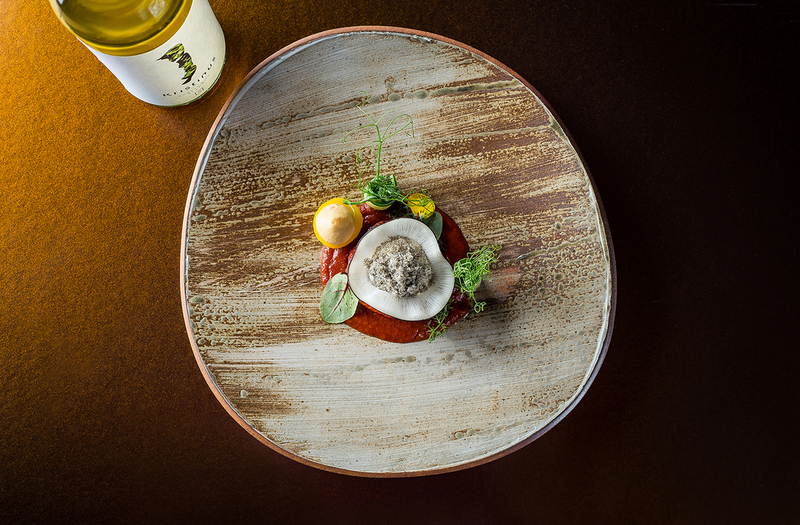 Awards: Hungarian Cuisine Magazine, Balaton 2016 and 2017: Gastronomical Guide to 10 Best Restaurants. | Dining Guide - the 100 best Hungarian restaurants.